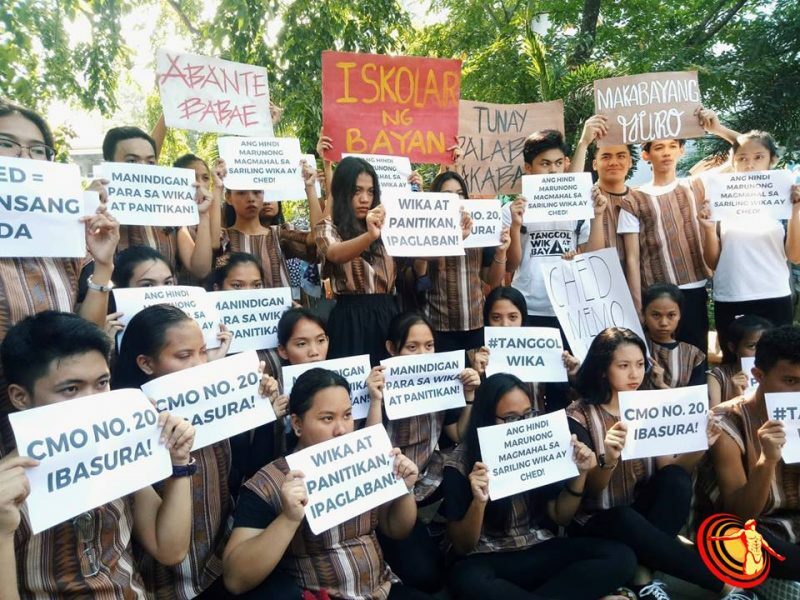 Manila students protesting against the removal of Filipino as a required college subject. Photo by the Manila Collegian, used with permission. 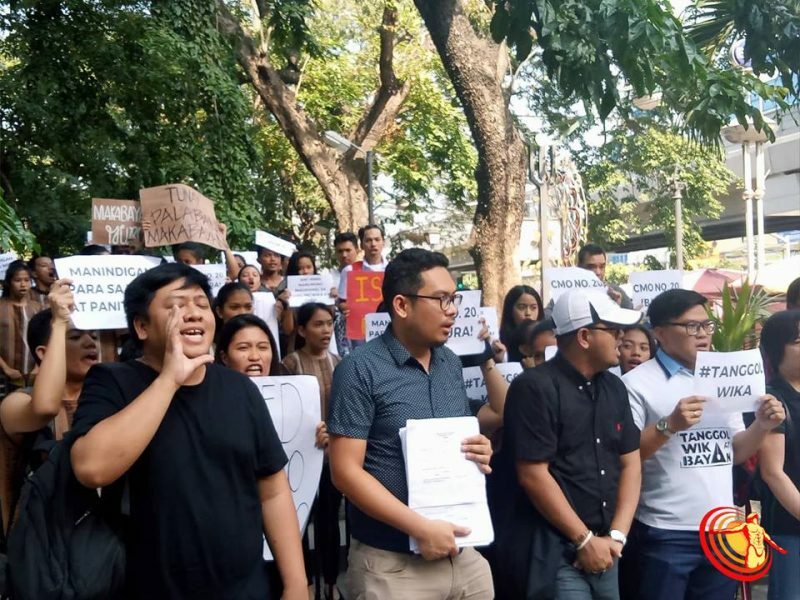 But critics say the anti-Filipino curricular intensify a “neocolonial” educational system inherited from the American colonial era that privileges English and trains students as fodder for the government’s “labor export policy” rather than as holistic citizens that contribute to nation-building. 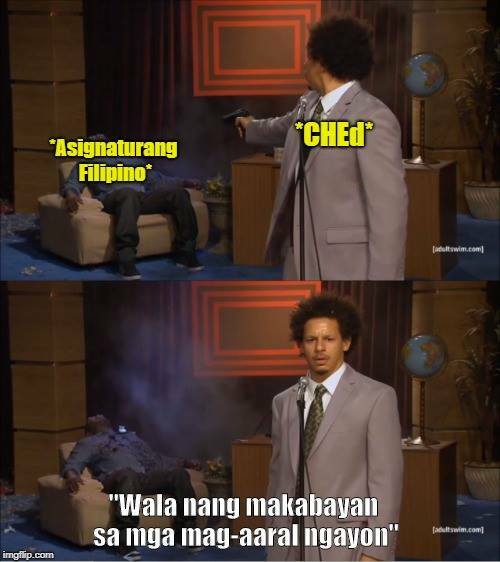 The erasure of Filipino is seen as part of wider “neoliberal” educational packages that marginalize the humanities and other fields considered non-essential for the disciplining and formation of young Filipinos to serve the cheap labor needs of big business. We believe that Filipino language and literature is vital in deepening the critical, creative, free, and liberating capacities of students and people, whatever their courses, disciplines, and fields of expertise. The study of language and literature in college is no duplication but an expansion of theory, practice, and its usage in the university, the nation, and life. 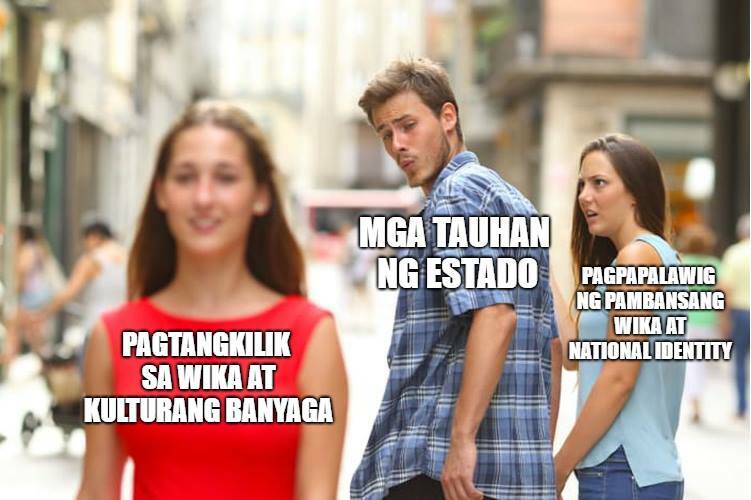 Carol Marcelo: Wala nang magmamahal pa ng kanyang sariling wika kundi tayong mga Filipino rin kaya tayo rin ang nararapat na magpayaman nito sa pamamagitan nang patuloy na paggamit at pagkilala bilang ating kaluluwa na kabahagi na natin noon pa man. Carol Marcelo: No one would love her own language if not us Filipinos hence it is only right that we enrich this through active usage and recognition of its being our soul even from before. Rommel Rodriguez: Mahalaga ang patuloy na pag-aaral ng wikang FIlipino at panitikan ng Pilipinas hanggang kolehiyo sapagkat bahagi ito sa paghubog ng kamalayan makabayan at adhikaing Pilipino ng ating mga mag-aaral. 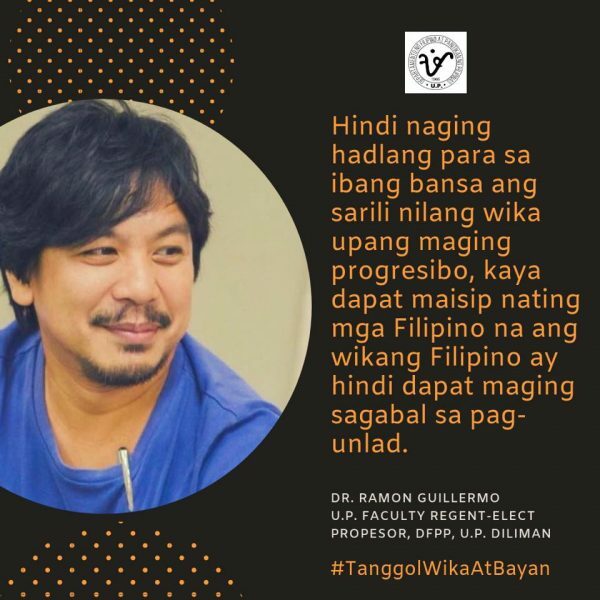 Rommel Rodriguez: The continued teaching of the Filipino language and Philippine literature up to college is important because it is part of the molding of a nationalist consciousness and Filipino aspirations of our students. Disclosure: The author works as an instructor at the University of the Philippines Diliman, Department of Filipino and Philippine Literature.